← Urban Fantasy Romance Novel – Teaser Excerpt for Ascension! Science Fiction Romance Series in Paperback! 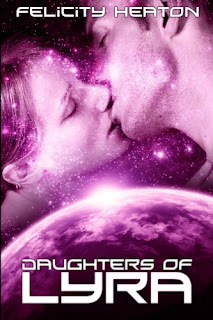 I’m pleased to announce that you can now get my Science Fiction Romance series Sons of Lyra and Daughters of Lyra as two paperback anthologies! In Slave Princess, Captain Lyra II is one of the sons of Lyra, the handsome princes with passionate hearts. The second eldest son, he’s content with the adventure that life with the Lyran Imperial Army offers him. What he isn’t content with is his current situation. Not only has he been forced to stop at a backwater port for supplies, but he’s leaving with more than he expected-a beautiful and spirited slave woman! In Runaway Hearts, Heir Prince Lyra I hates his life, and it’s only getting worse. His parents have gone and arranged his marriage. Unable to stand the thought of getting married before he’s seen the stars and tasted adventure, he decides to run away. When he meets a beautiful woman with the same agenda, he agrees to go with her, not realising just what twist their future is about to take. In Fight For Love, Lieutenant Lyra IV is as sinfully handsome as his brothers, but the one woman he wants is immune to his charm. Every man in his squadron is falling over themselves to win her. Literally. When the reward is getting to see her, he can’t stop himself from getting hurt in training. Losing feels like winning when he ends up on her inspection table, and the pain means nothing when she touches him. In Stranded, Captain Lyra III is known for his vicious attitude and brilliance in battle. Second youngest of the infamously handsome sons of Lyra, he’s a born leader and doesn’t take no for an answer. Except this time. Acer is facing a future that seems like a nightmare, a future that has made him realise that the one thing he truly wanted in life may have just slipped through his grasp-his engineer, Stella. 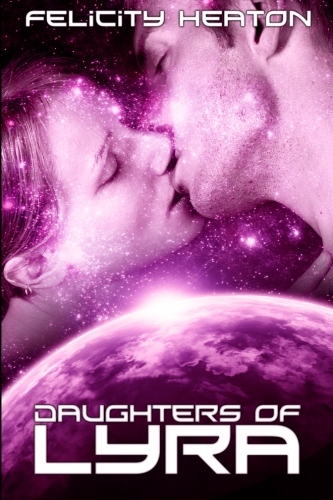 Daughters of Lyra is an anthology of five science fiction romance stories. In Heart of an Emperor, beautiful Princess Sophia has had it with suitors. When the latest one turns out to be the emperor of Varka, a species known for their lack of emotions, nocturnal lifestyle and bloodlust, Sophia wants little to do with him. But when she greets the emperor and his two attendants, Sophia realises that a Varkan might just win her after all. Only, it isnâ€™t the emperor who has caught her eye. In Heart of a Mercenary, Princess Miali is an ambassador for Lyra. Her true identity is kept secret to protect her but it’s her beauty that puts her in danger when slavers attack her ship. Heading for the slave market, her only company is the ship’s handsome young Minervan doctor. Kosen makes Miali’s body react like no man before him and she can’t help wondering if she might just be falling for her captor. In Heart of a Prince, Princess Renie loves exploring space with her twin brother, Rezic, but when they venture too close to the Black Zone things turn from exploration to a fight for their lives. Captured by Vegans, Renie isnâ€™t sure what she’s going to do… until she meets a man in the cells, the most unusual and gorgeous male she has ever seen, a man who seems to be willing to do anything to protect her. In Heart of a Commander, Lieutenant Amerii wants nothing more than to prove herself to her captain and the army without her father’s help… except maybe one thing. Van, Count of Aeris and attendant to Emperor Varka. Meeting the Varkan first fleet at Varka Two, Amerii is pleasantly surprised when the commander turns out to be Van, and he invites her onto his ship to sign the contract between Varka and Lyra. In Heart of an Assassin, Princess Natalia has spent her whole life on Lyra Five behaving just as a princess should, except for one thing. After her daily duties she sneaks out at night to sing in the bars of Lyra Five, pretending to be someone else. Natalia loves to sing, more than anything else in the galaxy, until the night that Ixion, the handsome commander of the royal assassins, comes to the bar to bring her home. This entry was posted in daughters of lyra, paperbacks, science fiction romance, sons of lyra. Bookmark the permalink.